When Moose arrives in New York as an engineering student he quickly meets a group of dancers who will compete in a dance competition with a huge prize. To enter into the competition he must sacrifice a friendship while the groups leader deals with a betrayal. We are introduced initially to people being recorded in a documentary, opening their hearts to why they love dance so much. These people are affectionately said to be: “Born from a boombox.” Although this is a little cheesy it does summarise the core values that run through the film and make a welcome change from the inauthentic criminal element that plagued the last film. The leader of the group, the dance groups progression, and these core values are successfully highlighted by recordings that the leader, Luke, makes of the group, and this documentary footage is smartly shown throughout as a reminder. The film continues to impress with the two main characters, Moose and Luke. Moose was seen as the comical and geeky student from the last film and again he brings a light-hearted tone to the film with his awkward hand pump and quick chatter. He also acts as the viewer’s way to meet the dance group who are an eclectic and happy group of misfits that work even better than Step Up 2’s group at providing support for the leads. 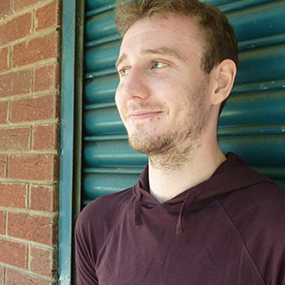 The other lead is the more traditional (and muscular) Luke, and with him his love interest of a glamorous and stunning dancer takes centre stage while Moose’s geeky romance takes the bench. Although the film has a lot going on character wise it would have been entertaining to see the underdog, Moose, take the centre stage but Luke dominates the screen and story throughout. Perhaps next time they’ll be braver. Dance scenes are bigger, bolder and more frequent with elaborate knock out rounds taking place throughout the film. Chalk and water covered floors, special effects costumes, and lasers all heighten the action and pale Step Up 1 and 2’s dance scenes in comparison. It’s true that some dance segments may be less skillful than clever, but its undoubtedly entertaining all the same. Moose even dances with his girlfriend through an elaborate sequence on a New York street which could be taken straight out of a musical but works all the same. 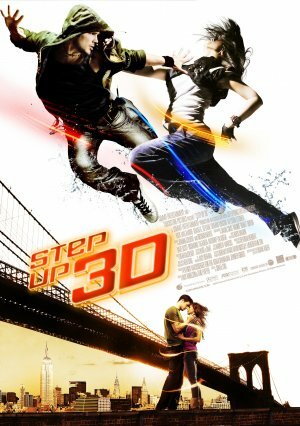 With its big elaborate dance scenes, Step Up 3D feels more like a musical show at times than more serious tone and grueling rehearsals provided in the last two films but this light-hearted tone suits the characters and thus this films imagining of the franchise. The result is an enjoyable fun watch.